Most of us are aware that we need a certain amount of Vitamin C daily in order to maintain optimal good health, but winter is a time when our bodies may need additional amounts of this vital nutrient. 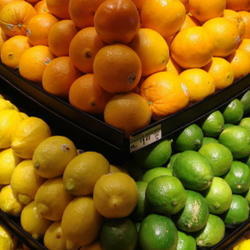 Citrus fruits such as grapefruit, limes, lemons, and oranges are a great-tasting way to add more Vitamin C to our diets. You may even decide to grow your own. You may be wondering why anyone would set out to write about grapefr uit. Although I like grapefruit a lot, I honestly hadn't given them much thought until fairly recently when, to my surprise, the cashier at the grocery checkout counter held up one from my cart and asked what it was. I must say I was caught off-guard by that, even though experts tell us the American diet in general is woefully lacking in adequate amounts of fresh fruits and vegetables. Thus I began my search for more information about the grapefruit (plural: grapefruit or grapefruits). I thought a little emphasis on them couldn't hurt given the apparent need for identification as well as the need for increased amounts of fruit in many people's diets. Along the way, I decided to include some information about a few of the other citrus too. Grapefruit is a subtropical tree belonging to the family Rutaceae and the genus Citrus. It's botanically called Citrus paradisi, "fruit of Paradise". 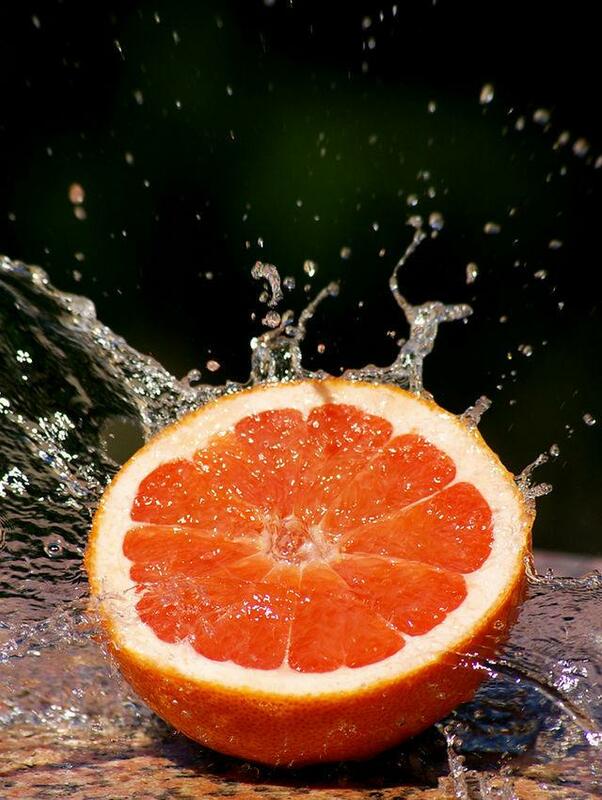 Grapefruit comes in several colors including yellow, pink, white and ruby. They are eaten either by cutting them in half and scooping out the sections or by peeling them like you would an orange and separating the segments, usually 10-12 in a medium size. They can be eaten cold or warm. 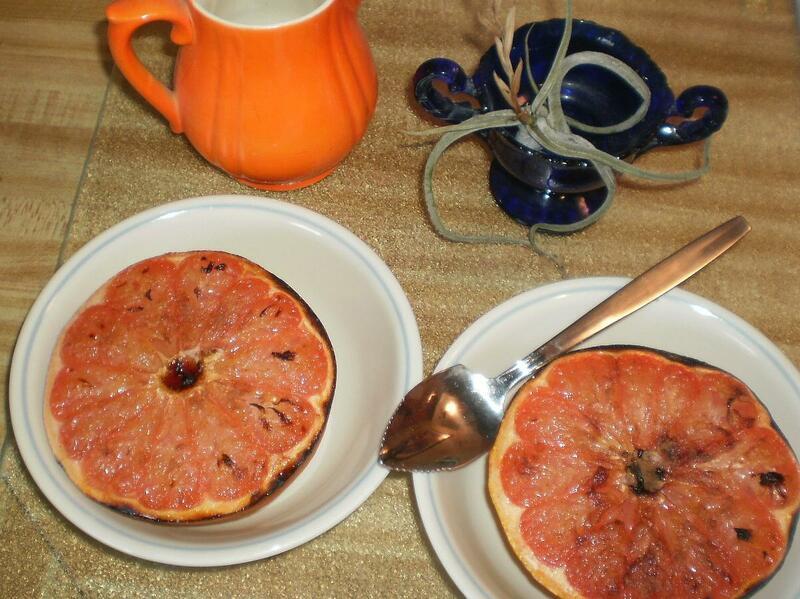 By the way, if you've never tried grapefruit broiled, I highly recommend it. Grapefruit gets its common name from the growth habit of the fruit which resembles a cluster of grapes. They are 75% juice and that freshly squeezed juice goodness stored in the refrigerator will retain 98% of its Vitamin C for up to a week. From a nutritional standpoint, grapefruit contains high amounts of other nutrients besides Vitamin C. These include an insoluble dietary fiber called pectin which acts as a bulk laxative in the colon and also decreases reabsorption of cholesterol. Grapefruit contains sizeable amounts of Vitamin A, flavonoid antioxidants, potassium, folate, iron, calcium and other minerals. Red grapefruit is especially high in the flavonoid, lycopene, which has been shown to help protect against prostate cancer as well as skin damage from sun exposure. 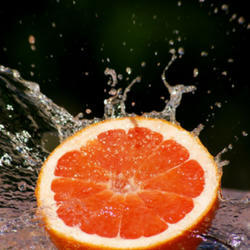 All grapefruit is fat-free, cholesterol-free, and contains about 45 calories in a medium fruit. You get a lot of nutritional bang for your buck with Citrus paradisi. A word of caution: grapefruit juice has been shown to interact adversely with several medications. If you take any medication, become informed before adding grapefruit to your diet. Although the rind of a grapefruit accounts for almost 50% of its weight, all is not lost by having to discard it. I use the rinds as slug and snail bait in my flower garden. With the hard side facing up, set the rinds on the ground in a shady spot slightly propped up on one side to allow slugs and snails access underneath. Once the rinds have attracted the slimy creatures, squash the rind together killing them. You can then toss the entire thing into your compost pile. Another use for those leftover rinds is as organic dog and cat repellent. Cats, in particular, dislike the smell of citrus. If your garden is becoming kitty's favorite litter box, you can try soaking the rinds in water and spraying the water around or placing rinds on the ground where you need a deterrent. I probably should have discussed culinary uses for the rinds before talking about squashed snails, slimy slugs and cat litter. While I'm tempted to move this paragraph ahead of the last one, I can't simply cut and paste. Therefore, I'll just leave the culinary uses right here. There are numerous recipes available in cookbooks and online for making candied grapefruit rind, a delicious sweet-tart treat. Some of those recipes call for dipping the candied rinds in chocolate. Very good! 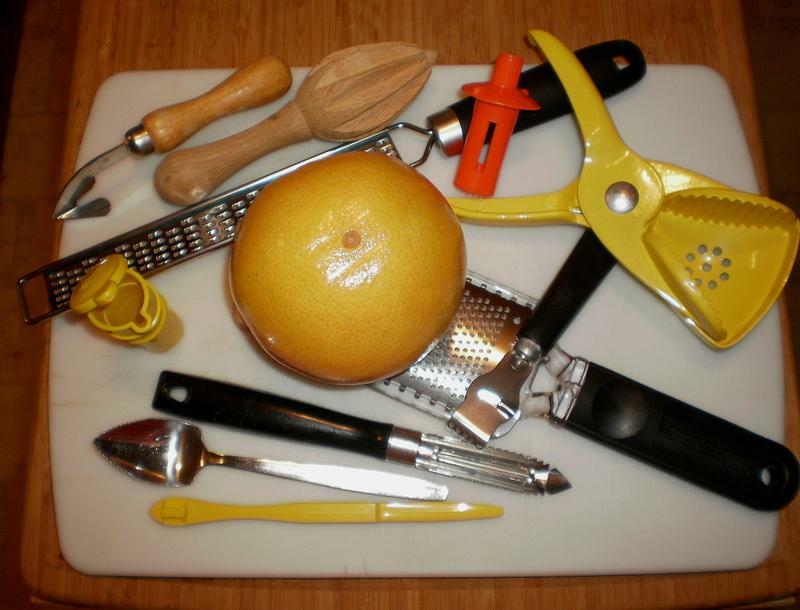 Grapefruit rinds can be zested and used in recipes in the same manner as lemon and lime zest. Use the hard outer part of the rind for zesting and avoid the inner white part, the pith, which is extremely bitter. Dried grapefruit zest can also be added to your favorite tea brew to give it a little extra zing. 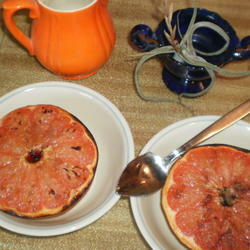 I have been told that after several soakings to remove its extreme bitterness, even the grapefruit pith is used in a traditional Cuban recipe, along with some sugar and cinnamon, to make a candied pith syrup for topping toast, crackers, and ice cream. As you can see, just about all of a grapefruit can be put to good use. Always thoroughly wash the rinds of store bought grapefruit and other citrus before using them for edible purposes in order to remove any traces of insect spray or wax that may have been applied during growing and processing. Grapefruit essential oil for aromatherapy and fragrance purposes can be made by placing pieces of very dry rind in a clear Mason jar along with almond oil just to the level of the rind. Cover and place in a sunny window or other warm place for two weeks (time can be shortened to 8 hours using a crockpot). Strain contents through cheesecloth, squeeezing out as much of the oil as possible. Pour oil into small dark glass vials with stoppers or corks and store in a cool place (don't refrigerate). Smell is one of our most powerful senses, and those who advocate aromatherapy say the smell of grapefruit may help reduce appetite and restrict food cravings. Okay, you don't like grapefruit but still want more citrus in your diet. I get that. 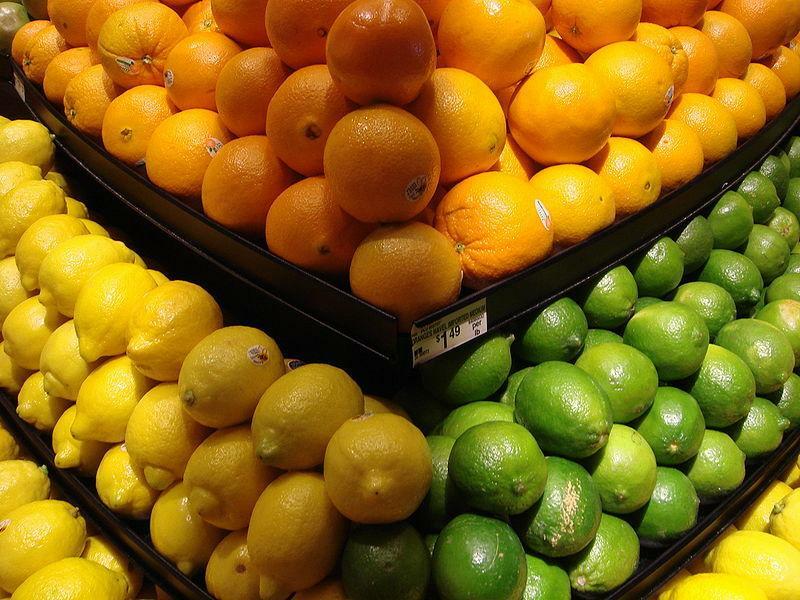 How about limes and lemons? They are a great source of Vitamin C, too. Like me, y ou probably remember your school history and science lessons about British sailors carrying limes with them in order to prevent scurvy, a disease caused by a deficiency of Vitamin C and common among sailors whose diets were lacking in fresh fruits and vegetables for long periods of time while at sea. Hence, the sailors with the limes became known as Limeys. At one point in time, British sailors carried lemons instead of limes because lemons provide a greater amount of Vitamin C than do limes. However, Lemonys doesn't have quite the same ring to it and definitely doesn't rhyme with the British word, blimey (short for blind me or God blind me and used to express surprise, excitement, or alarm). Lemon and lime rind strips or curls make colorful and fragrant garnishes for both dishes and drinks. The juice of limes and lemons can easily be squeezed into tea and beverages, onto salads, or into many dishes to add a citrusy flavor. Chefs refer to the taste of lemon in a dish as brightening the flavor. Try steaming fresh green beans or broccoli and topping with a little fleur de sel, freshly ground pepper, olive oil and fresh lemon juice. To me, that's a real culinary treat. 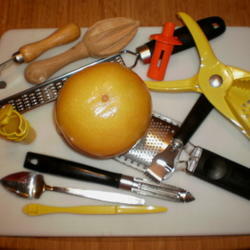 Special kitchen tools are available to make squeezing the juice easy while keeping out the seeds. Fresh lime or lemon juice will keep in the refrigerator for several days before beginning to lose its flavor. Blimey, I'm a limey and I hope you are, too. Oranges are one citrus fruit almost everyone seems to enjoy. They are delicious, nutritious, and abundantly loaded with Vitamin C. I think I've probably gotten across my points about the nutritional value of citrus by now, so I'll change focus a bit here with the orange and explain very briefly how it played a fundamental role in the development of the modern greenhouse. During my years in Southern California, I was most fortunate to be able to simply slide open the glass door to the lanai patio, step outside, and harvest fresh Blood oranges, Meyer lemons, grapefruit and avocados from trees growing in the ground. When I moved to Northern California, that wasn't so much the case. But I had to have my Meyers, Therefore, half an oak whiskey barrel bought at a garden center was drilled with adequate drainage holes and became the planter of choice for a new Dwarf Meyer Lemon tree. With the barrel on a plant trolley, it could be rolled to more protection when very cold weather threatened - which wasn't often - and covered if need be. The Meyer Lemon tree thrived, and I once again harvested homegrown sweet lemons. Life was good. So it was for people in Medieval and Renaissance Europe. 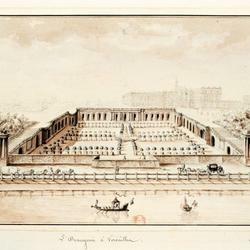 The wealthy had discovered the delights of the orange and wanted to grow the fragrant delicacy in their own frequently hostile climates. 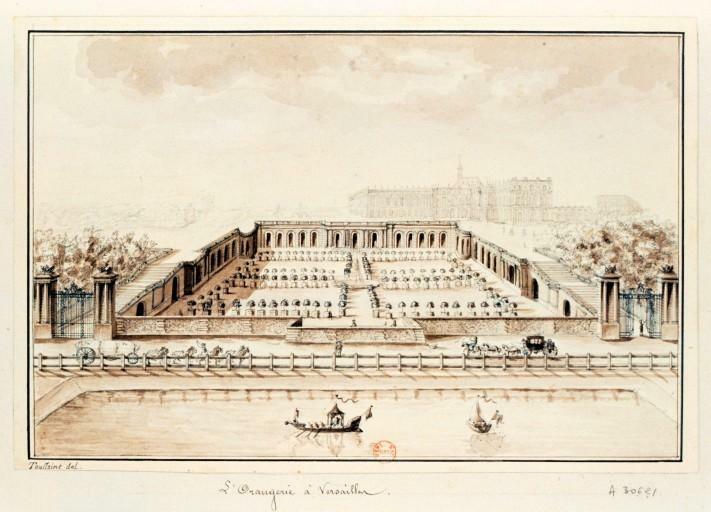 Thus was born the first primitive orangery, a roofless room whose walled structure was designed to provide at least some protection for the trees. Heat was provided by open bonfires. 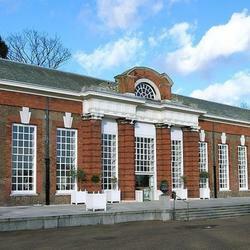 Orangeries eventually became very large, fully enclosed buildings with numerous south-facing windows to admit an adequate amount of sunlight to sustain the trees. Since they were originally specifically built to house and protect orange and lemon trees, they were officially given the name orangeries. 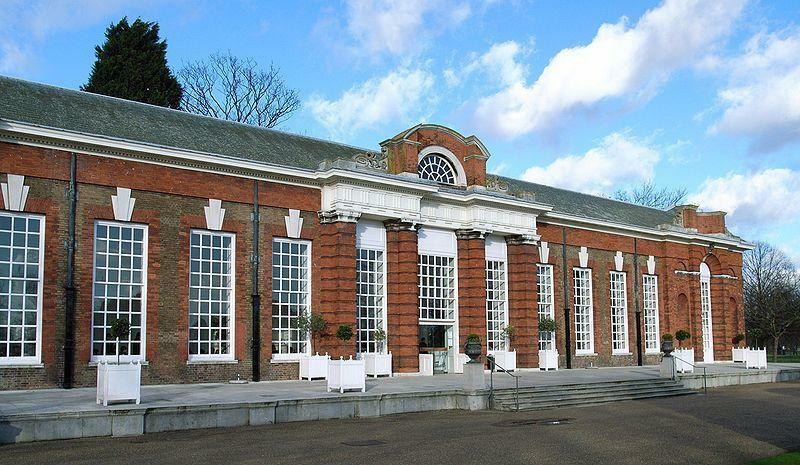 With advancements in glass-making during the 17th and 18th centuries, conservatories began to replace orangeries at the estates of the wealthy in Europe. 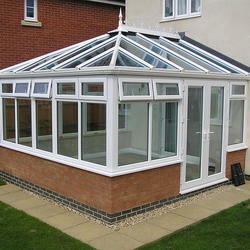 Orangeries needed an unobstructed south-facing aspect that was sometimes difficult to provide. 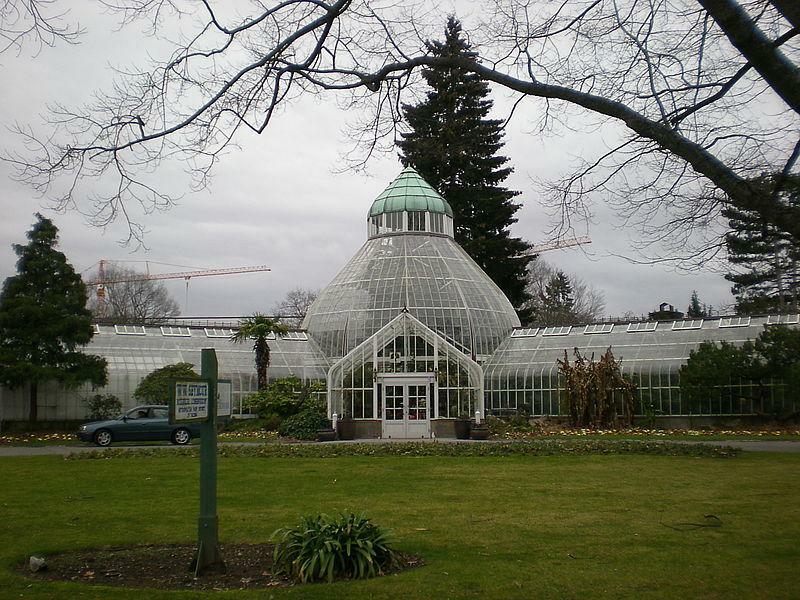 Conservatories could be built almost entirely of glass, including the roof, and attached to the side of a house much like sunrooms are today. 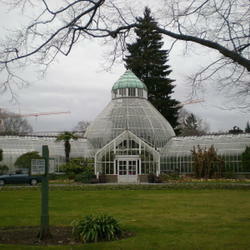 The English with their love of gardening were in the forefront of the movement to build garden conservatories. You can easily see how orangeries became sunrooms became conservatories which eventually evolved into the modern free-standing greenhouse so many gardeners enjoy in their backyards today. 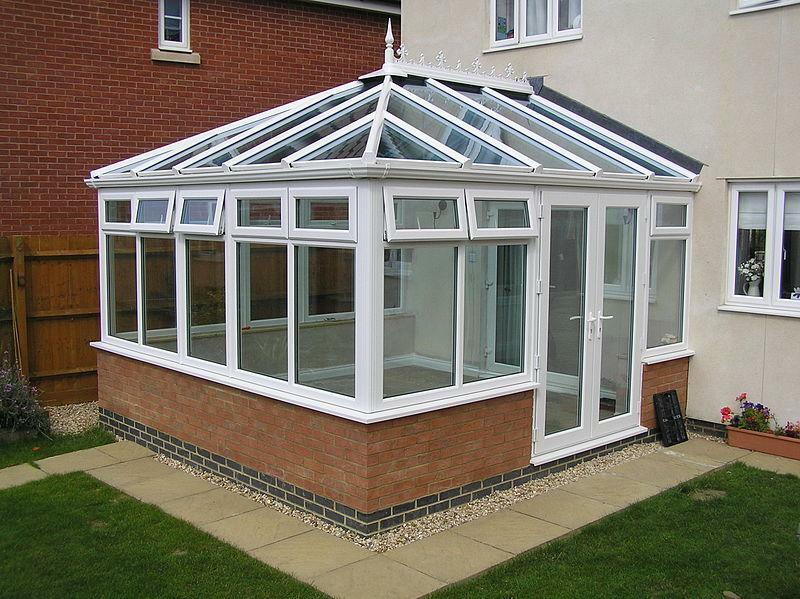 The main difference between an orangery and a conservatory lies in the fact that there is much less glass used in the construction of orangeries. If you think you can't grow your own citrus because you don't have a greenhouse and live in a climate that's colder than Florida, Texas, Arizona or Southern California, you may be surprised. Here are a few that can take some cold weather: Chinotto Orange, Calamondin, Rangpur Lime, Meiwa and Nagami Kumquats - all hardy to 15º F; Yuzu Lemon - hardy to 12º F; and Ichang Lemon, Taiwanica Lemon, and Red Lime - hardy to 10º F.
The only negatives about grapefruit or citrus I could find stems from the fact that due to hurricanes and freeze damage, trees have been destroyed and production has declined in Florida. The good news is that it's up in Texas. Demand for grapefruit is way down among the younger population compared to what it was in the 1970's but up among older folks. So my young grocery clerk probably isn't the only one unfamiliar with a grapefruit. However, declining domestic demand can eventually equate to declining domestic production along with a rise in prices. That would impact all of us who enjoy grapefruit and other citrus. Growing your own is looking more and more like a wise thing to do. But whether or not you grow your own, enjoy more citrus in your diet and reap the rewards. loosen the segments with a grapefruit knife. and place in an oven-safe dish, sugar side up. caramelized to your liking. Cool for 5 minutes. If you don't want the sugar topping, omit it. sweet-smokey flavored crust all on its own. With the exception of citrus kitchen tools and broiled grapefruit, photos are the courtesy of Wikimedia Commons with some rights reserved.